Pegasus Food Futures showcased their pioneering hydroponic farming capability at the Global Forum for Innovations in Agriculture in Abu Dhabi on February 5th and 6th, with huge interest from a diverse array of investors as well as representatives from the Ministry of the Abu Dhabi Food Control Authority and UAE Ministry of Climate Change and Environment. With the world population set to grow from 7.3 billion to 8.5 billion by 2030 and 11.2 billion by 2100, an agricultural solution to our growing food needs is essential. Hydroponic farming is an innovative, soil-less system that uses up to 90% less water than conventional farming, uses less land, producing high yields of sustainably high quality, reasonably-priced crops. Pegasus Food Futures have acquired farms in Abu Dhabi and Portugal with ambitions to create an Agricultural City in the UAE during 2018. Leading owner and operator of hydroponic farming facilities in Europe, the Middle East and Africa, Pegasus Food Futures showcased their pioneering hydroponic farming facilities at the Global Forum for Innovations in Agriculture (GFIA) Exhibition in Abu Dhabi on February 5th and 6th and unveiled ambitious plans for future expansion in 2018. Levels of 7.3 billion to 8.5 billion by 2030 and 11.2 billion by 2100, ensuring long term food security has never been more important. Providing an affordable and reliable food source that is also environmentally sustainable is essential to meet the needs of the growing population. Pegasus Food Futures provides solutions for these global food supply challenges through its operations and innovations in farming, livestock, feed stock and food production. 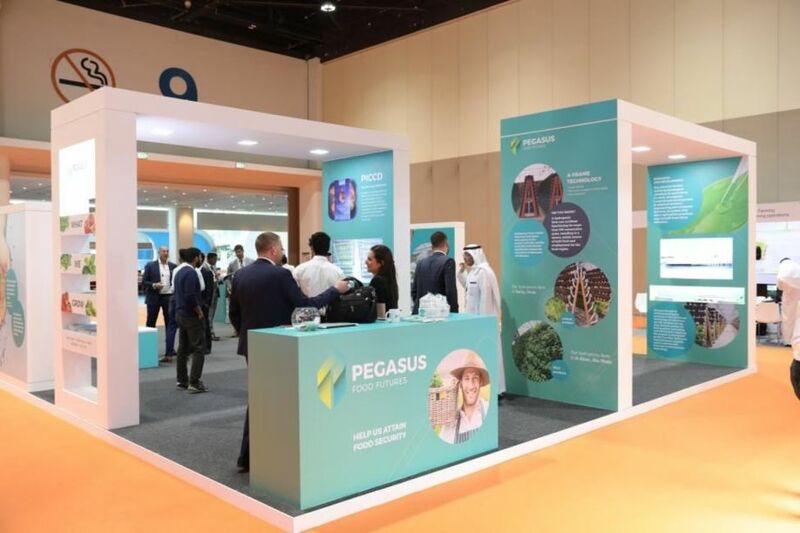 At GFIA, the Pegasus team was on hand to talk to hundreds of potential investors from a diverse array of backgrounds, along with many representatives from the UAE Ministry of the Abu Dhabi Food Control Authority and UAE Ministry of Climate Change and Environment during the two day conference. 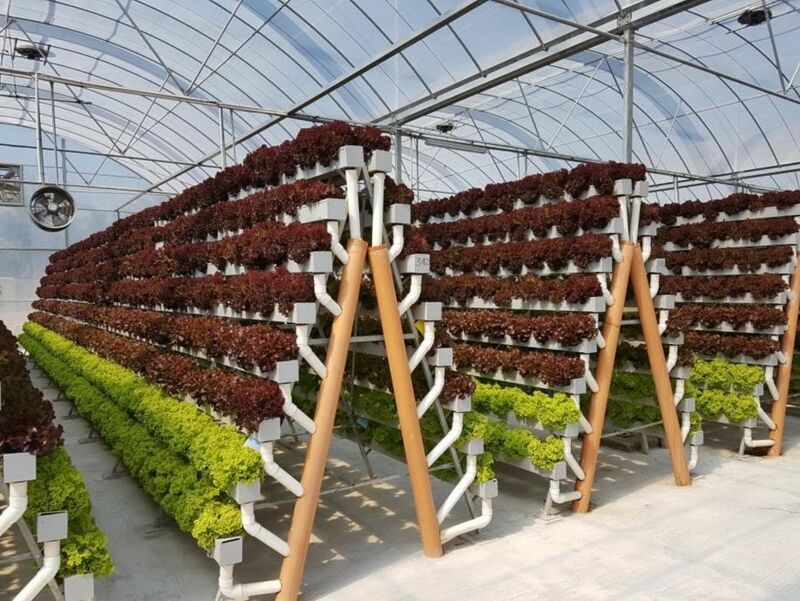 There was considerable interest in the plans to create an agricultural city in UAE and the upcoming launch of PICCD hydroponically grown strawberries and salad leaves in the UK, the GCC and Asia. Mahmood Almas, Chairman and Founder of Pegasus Agriculture was excited by the reaction from GFIA attendees: "We were overwhelmed with the positive responses from the delegates at GFIA. There was much interest from businesses in the retail and wholesale sectors in securing produce from our farms for their consumers across the GCC." Pegasus Food Futures also unveiled ambitious plans for the global expansion of their hydroponic farms in 2018, alongside the development of artificial intelligence (AI) techniques. Using AI will provide, integrate and utilise agricultural data to improve efficiency, reduce costs and optimise the nutritional qualities of hydroponically grown produce. Reducing costs benefits both Pegasus and all those investing in their hydroponic technology with plans to license the pioneering AI technology to achieve global reach. Having acquired farms in Abu Dhabi and Portugal last year, 2018 sees major expansion plans for Pegasus. These include the creation of an Agricultural City within the UAE, featuring not just agricultural land and greenhouses but also an education and discovery centre for the public, a pre-packaging facility for mixed salad bags and a research and development centre. Produce will include lettuce, tomatoes, beans, peppers, herbs and other salad items. Finally, the two farm sites acquired in Portugal are earmarked for the production of crops to supply the UK market with premium, hydroponically grown strawberries and salad leaves, under the brand name PICCD. PICCD and the Pegasus-owned Dive Coconut Water were both talking points at the GFIA. Pegasus Food Futures is owned by entrepreneur Mahmood Almas and provides solutions to global food supply challenges through a substantial scope of operations and discoveries in farming, livestock, feedstock and food production. The head office is strategically located in Abu Dhabi, United Arab Emirates, and serves as the major hub for Pegasus' growing global distribution network. The team's cumulative market experience ensures that consumers and stakeholders reap the benefits of bringing quality food around the world.